MPC Wasp Control are available 7 days a week to eradicate wasp problems safely and effectively. Don’t get stung on the price for wasp control. Call the experts today! 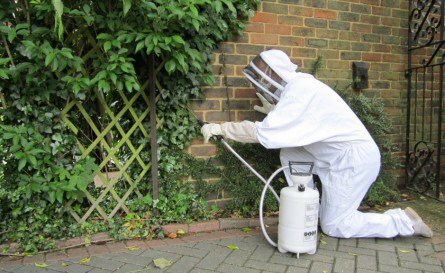 MPC provide Oxted and surrounding villages with a fast, safe and professional wasp nest removal service for just £45. 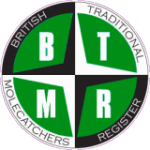 All wasp, Hornet and bee treatments come with the MPC guarantee. This gives our customers the peace of mind that in the unlikely event the nest is not successfully destroyed on the first attempted then we will provide a follow up free of charge. People are often confused as to the difference between these flying insects. Bees tend to come out much earlier in the year about March time. Honey bees start to swarm causing panic to there new neighbours. In most cases they will move on within 24 hours. In 2014 we have seen a huge increase in the number of ‘tree bumble bees’ which are nesting on properties in Oxted. Once the bees give way the wasps and hornets start to show often nesting under roof tiles or soffits. Hornets are very similar to wasps but they are much large and the nest is a lot smaller. To book your wasp nest removal in Oxted you can either ring the number provided or leave us a message via the email form and we will get back to you as soon as possible. We contacted Marcus with regards to removing a wasp nest from our roof. He was very polite and talked us through the process. Lovely chap! Copyright © 2014 MPC Wasp Nest Removal. All rights reserved.